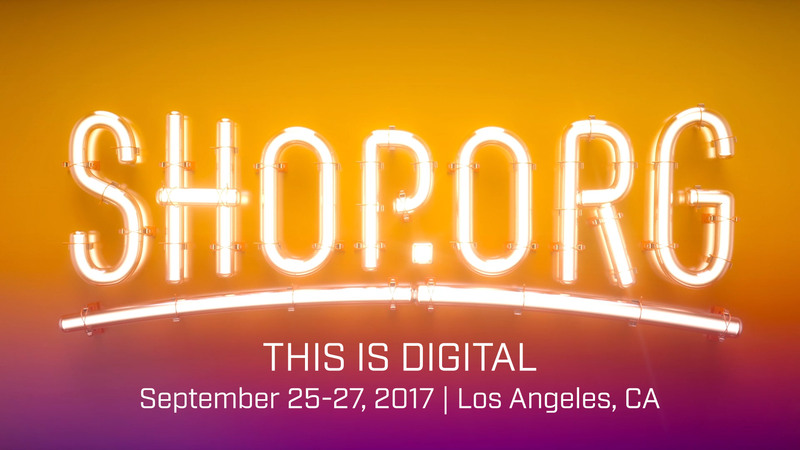 The Ketner Group team is gearing up for the busiest time of year for our retail clients, and we’re kicking things off with Shop.org, Sept. 25-27, in Los Angeles. This year, Shop.org is focused on bringing fresh content to attendees with keynotes from Tyra Banks and Kobe Bryant and a number of new opportunities to network and engage with industry peers. In addition, Shop.org has partnered with Fast Company to provide a unique series of sessions focused on innovation. We’re excited to see all of the changes at Shop.org this year! Founded in 2001, Columbus Consulting comprises of a team of highly experienced specialists in retail systems and processes. Through a combination of pragmatism, innovation and years of experience, they deliver services ranging from strategic insight to tactical project delivery. Their experience stems from holding executive responsibility in retail, and from successfully managing some of the most challenging projects in the industry. At Shop.org, Columbus Consulting will be available to discuss the benefits of unified commerce and the need for retailers to have a single view of real-time inventory as they head into the holiday sales season. DynamicAction is the most advanced analytics solution specifically built for eCommerce, store and omnichannel retail merchandising teams. Connecting and analyzing millions of data points from every part of the retail organization, DynamicAction uses more than 600 proprietary algorithms to pinpoint margin-eating disconnects in the business, prescribe precise actions and accurately rank those actions by financial impact. During Shop.org, DynamicAction will be previewing the data for their upcoming Retail Index benchmark report as well as discussing how retailers can arm themselves with an Amazon Plan for the holidays. GroupBy Inc. recently acquired Edgecase, becoming the first data-driven e-commerce platform available for e-retailers. The acquisition merges the eCommerce search and merchandising provider with a data-driven product intelligence platform to create the most comprehensive cross-channel digital commerce solution to-date. At the show, GroupBy will be sharing new customer projects and deployments. Linc’s customer care automation platform powers the digital experiences that strengthen the relationships between brands and shoppers, transforming one-time purchasers into lifetime customers. Brands, retailers and CPGs leverage Linc to provide their customers with exceptional tracking, return and exchange experiences, and create new revenue channels via personalized upsells, cross-sells, sampling and product re-ordering. At their booth, Linc will be providing a preview on its upcoming platform features and discussing how TechStyle Fashion Group is working with Linc to maximize its customer care efforts. Mirakl gives retailers and brands a fast path to increase customer value by launching an online marketplace. The Mirakl Marketplace Platform automates the hard things: seller onboarding, product data management, service quality control, and order distribution; on an API-based solution that’s modular and easy to integrate. Over 130 customers operating marketplaces in 40 countries trust Mirakl’s proven expertise and technology, including Hewlett Packard Electronics, Best Buy Canada, Carrefour, Darty, Galeries Lafayette and Halfords. Shopgate‘s leading SaaS platform enables online retailers to easily create, maintain and optimize native apps and mobile websites for the iPhone, iPad, Android smartphones and tablets. Shopgate uses cutting-edge marketing features such as one-click payments, mobile coupons and advanced push notifications to help merchants connect with consumers on the go. During Shop.org, Shopgate will feature a new customer win as well as discuss newly added features to its platform. We’re happy to help you arrange a meeting with any of these clients during the show. Over the past year, we’ve had the privilege to work with Anne Marie Stephen from kwolia and help support the Retail Innovation Lounge at various industry events. This year, NRF and kwolia are partnering to bring the Retail Innovation Lounge to the Shop.org show floor, Sept. 26-27. The partnership provides a unique “lounge and learn” experience at the retail industry’s most important event for digital commerce. A dedicated stage in the Retail Innovation Lounge features curated content and programming with exclusive, inspiring content focused on today’s most successful retail strategies and concepts. The Retail Innovation Lounge also includes lounge areas for networking and relaxation, games, a happy hour bar and demo space for sponsors. More information and a detailed agenda can be found, here. If you plan on attending Shop.org this year, feel free to reach out to us to schedule a meeting or find us in the Retail Innovation Lounge. We’d love to see you there!